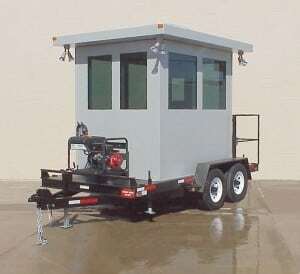 Par-Kut designs and manufactures the most durable and well built control booths available today. 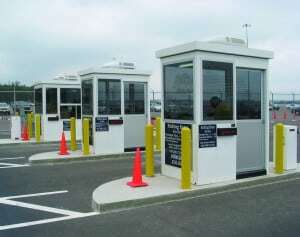 Rugged welded steel Par-Kut control booth enclosures house employees and sensitive equipment in all types of locations. 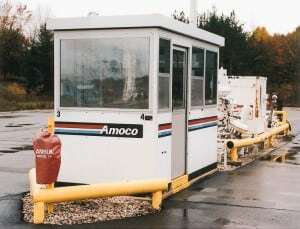 Applications include industrial loading racks, process control pulpits, dredge and crusher cabs, and loading dock or visitor gate security officer shelters. 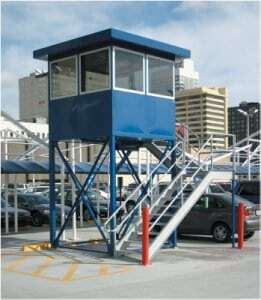 Windows can be glazed with impact resistant plastic glazing and can also be sloped for downward viewing of operations. 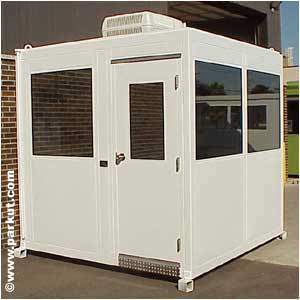 These durable control booth buildings provide relief from the elements for employees and have a solid reputation for long service life in just about all types of businesses. 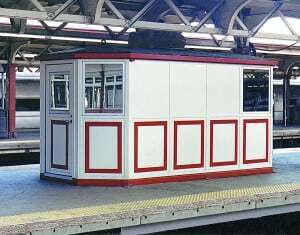 Sound deadening options are available as are custom cabinets and shelving configurations. 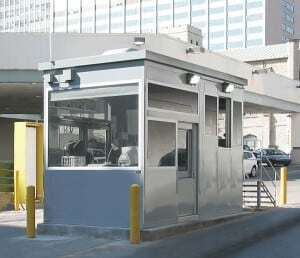 Electrical options in control booth units include explosion proof electrical devices, additional outlets, data and phone preps, and heating and cooling. 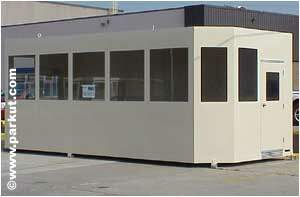 In addition, Par-Kut builds shelters for machinery, equipment and industrial inventory. 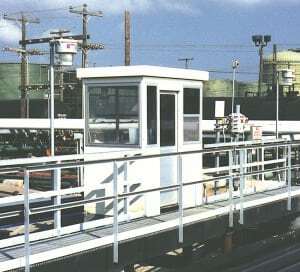 Par-Kut’s welded steel construction and highly durable materials are your perfect solution for abusive industrial settings. 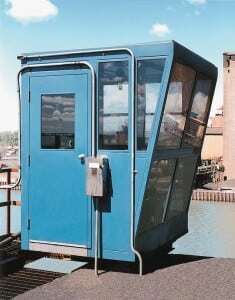 Go to GALLERIES to view additional control booths.